If you have a number of videos downloaded in your computer and you are keen to enjoy them with your iPod, you may be thinking about which the best way is to easily get videos shot on your computer over to your iPod, or your iPhone, iPhone 4S, iPhone 5, iPhone 6, iPhone 6 Plus and iPad, the new iPad, iPad Mini, iPad 4 without having to do a full iTunes sync. Here is the best way to accomplish this: Syncios iPod Transfer. Step 1.Download and Install Syncios iPod Transfer. Download and install Syncios iPod Transfer on your computer. The latest version 5.0.3 supports to run in Windows 10 system and supports the latest iOS 9. Please note that iTunes must already be installed on your computer for running this free Syncios iPod Transfer correctly. But you do not have to run iTunes. Step 2. Connect Your iPod to PC with Syncios iPod Transfer. Connect your iPod to computer with USB and launch Syncios iPod Transfer. Step 3. Convert video to supported formats through iPod Transfer. Now Syncios iPod transfer has amazing converting function to aid all users in converting numbers of video file to Apple compatible formats. If media you would like to enjoy can't be played with iPod, you could convert them to other supported formats. Supported imput format: M2TS, MTS, AVI, MPEG, WMV, DAT, TS, MPV, NSV, MOV, QT, H261, H264, etc. If you would like to transfer output video file to your device automatically, you can simply check the option: Transfer to device after conversion and choose your target iPad, iPhone or iPod from the dropdown list. As a professional and multi-functional iPod transfer, Syncios iPod Transfer certainly is the best assistant for all Apple fans to enjoy their devices. Its transferring function is powerful enough to help users transfer music, videos, pictures, TV Shows, Podcast, iTunes U, eBooks, Camera Roll, Ringtone, Contacts, Voice memos and Camera shot files from iPod to PC. 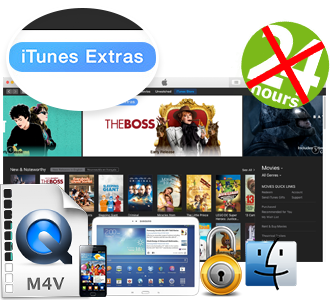 Plus, iPod users can also import video, movie, image, ringtone and eBook files from your computer to iPod without iTunes. You can simply treat your iPod as a portable hard disk when Syncios iPod Transfer software is installed. In addition, you can even transfer various file types above mentioned between two Apple devices, such as transfer from iPod to iPod or from iPhone to iPad. Then, you can easily enjoy your awesome iPod movie on your iPad 2. Plus, you can backup all your Contacts as database files to PC for safety. You can easily delete any file that you do not want to keep on your Apple devices. Though you are able to transfer videos from PC to iPod easily with Syncios iPod Transfer without having to do a full iTunes sync, iTunes also needs to be installed in your computer to run Syncios iPod Transfer correctly. Trying the free trial version of M4VGear Now!